On 1st April 2019, Green Brunei successfully organised a recycling drive in conjunction with Global Recycling Day (18th March). 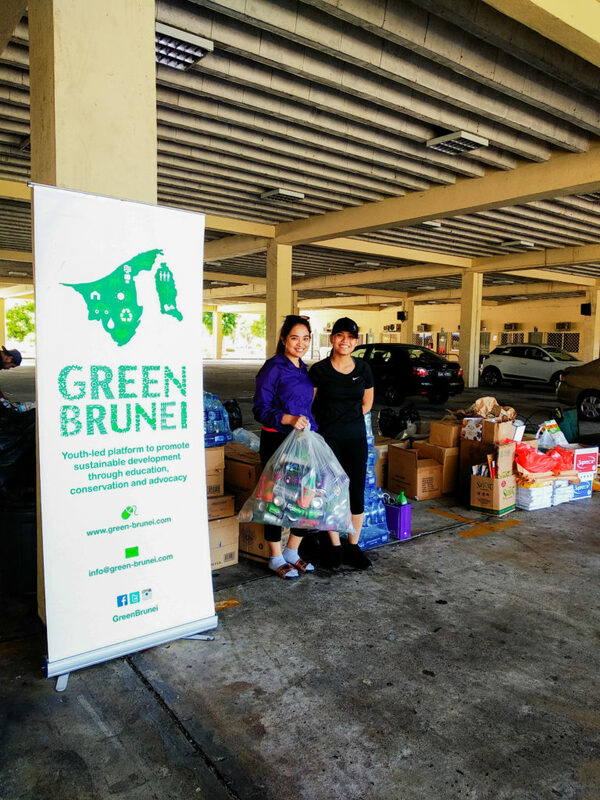 Green Brunei’s conservation team (comprising of Nazurah Noor and Wynona Curaming) spearheaded the drive from 2-4 PM under the National Stadium. Almost 40 people participated by giving their recyclable items. Thanks to the public’s gracious support, over 400 kg of recyclables were gathered in total. 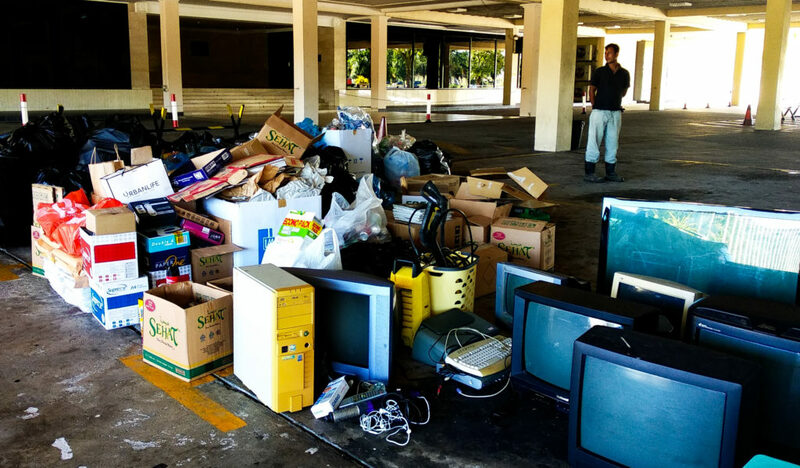 The Daikyo Recycling Company assisted in weighing the items. They were then carried away in large trucks to be recycled. Inshallah, Green Brunei will hold regular recycling drives in the future so the public is strongly encouraged to continue accumulating recyclables. The next drive will be at the same venue from 1-4 PM on the 21st of April. In doing so, we aim to inculcate environmentally sustainable lifestyle habits (like recycling) among the public. 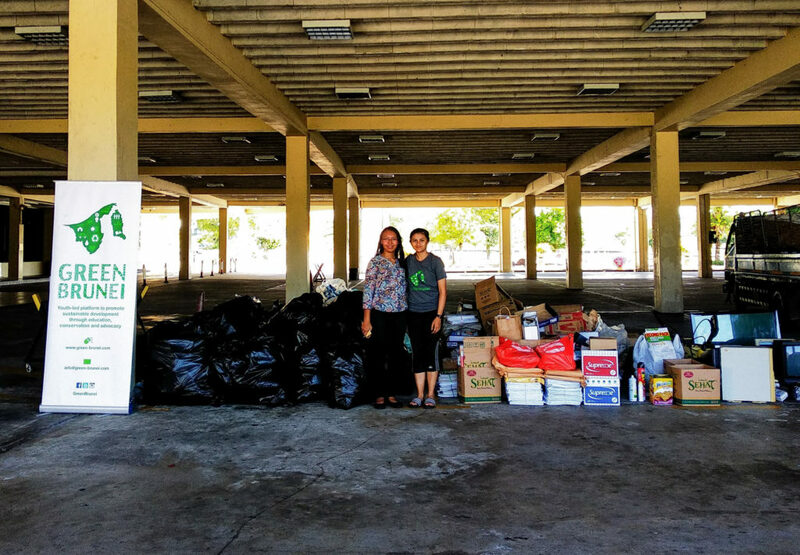 Nazurah Noor and Wynona Curaming (The Conservation Team) pose with the full haul of recyclables.